You are here: Home / Science / Dolphins : Are they smarter than us? Dolphins : Are they smarter than us? Scientists have always known that Dolphins are pretty intelligent. However, only recently were scientists able to classify how intelligent they were. Scientists have now announced that Dolphins are officially the second most intelligent species on the Earth after humans. Scientists are even suggesting that Dolphins are so smart they should be classified as non-human persons. This should be done in order to provide adequate protection to these mammals. Classifying Dolphins as non-human persons will protect them from being locked up in tanks in aquariums. This also includes preventing them from being exploited for profit. If they are classified this way, their capture will be termed as enslavement and moral torture. We have known that chimps share a lot of DNA with humans making them more intelligent than other creatures. However, scientists have figured out that Dolphins have brains developed for high intelligence as compared to chimps. 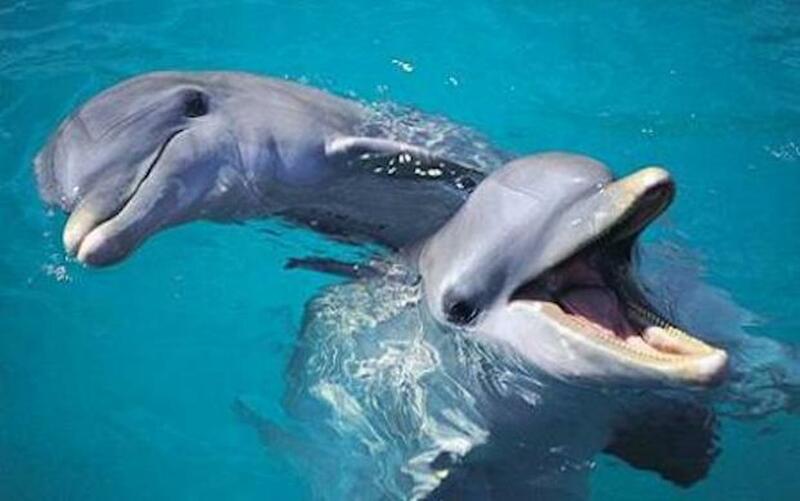 Dolphins are actually smarter than chimpanzees. 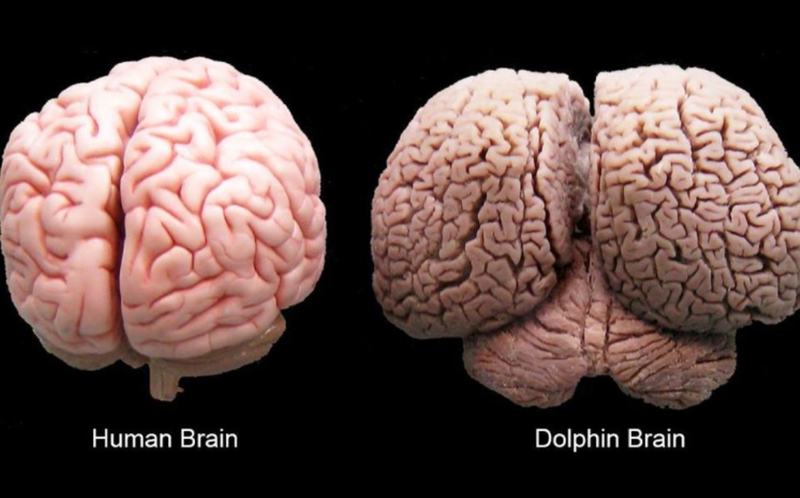 Lori Marino, a zoologist used magnetic resonance imaging to scan and compare Dolphins’ brains with other primates. The zoologist from the Emory University in Atlanta, Georgia says ““Many dolphin brains are larger than our own and second in mass only to the human brain when corrected for body size”. She also says “The neuro-anatomy suggests psychological continuity between humans and dolphins and has profound implications for the ethics of human-dolphin interactions”. Simply put, Dolphins have a lot in common with humans and they may be intelligent enough for actual human interaction. Dolphins have always been known to be intelligent but are classified below chimps in terms of smartness. Recent studies show that they may have the ability to distinct between personalities, think about itself and the future. This has not been observed in chimpanzees which makes Dolphins smarter. Dolphins have also been known to be cultural animals. This means that they pick up habits from one another quite easily. They can also identify themselves in a mirror and inspect various body parts. This was previously thought to be exclusive to humans and apes. Dolphins do not have the biggest brains around. Sperm Whales’ brains weigh a whopping 8.6 kilograms. They have a relatively small brain at around 200 grams. Humans are somewhere in the middle with brains weighing anywhere between a kilo and 2. The size of the brain is not the only thing that matters in intelligence however. The relative size of the brain also matters. In this regard, Marino and her colleagues made the following observation. “The anatomical ratios that assess cognitive capacity place it second only to the human brain”. The researchers also found out that Dolphins had the same convoluted folds as human beings did and this increased their intelligence vastly. These folds increase the volume of the cortex and in turn, the number of brain cells. With this research, we are now absolutely sure that Dolphins are the smartest creatures on the planet after humans. Once this study is presented, it will pave the way for the reclassification of Dolphins which will help in saving them from moral torture.